Click here to refresh this page & its menu bar. There is a new feature included in Windows XP called the Files and Settings Transfer Wizard — affectionately abbreviated F.A.S.T. 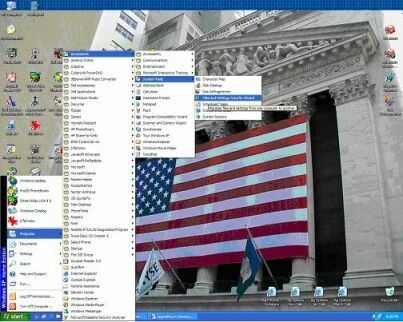 It is one of the least known new features in Windows XP, but it can be a very useful feature. Unfortunately Microsoft has chosen to let this feature with strong potential wither on the vine with only very basic improvements. They just haven’t fixed the limitations that have kept F.A.S.T. from becoming what it might have become. Let’s hope that its replacement in Vista has stronger support. This F.A.S.T. Wizard can be run on your old system from the Windows XP CD-ROM, but as time has gone on that is not a good idea. Service Packs 1 and 2 and the introduction of the Windows XP Professional x64 Edition have seen code changes that require that you use the latest code to make a transfer to the newer versions. The latest version of the F.A.S.T. Wizard is available in a link from KB article KB896344. It will update your version number to the latest which is version 5.1.2600.2665. You can also download this directly from here. The only safe way to use F.A.S.T. today is to make a Wizard Floppy or USB Thumb Drive Disk (See “What is new in SP2”) from the new computer with the above latest version installed. A reader of this article named Ray suggested the following to determine which version of F.A.S.T. you are using: Go to C:\WINDOWS\system32\usmt\, right click on the file migwiz.exe, and select Properties. Ray also brought up an issue that I have not myself seen, and a solution which is worth mentioning. If you encounter a problem with the F.A.S.T. Wizard hanging permanently at the very end of the transfer, just open the Task Manager and restart your PC. In Ray’s experience, you will find that the transfer is 100% complete; the only thing hanging was the notification that it was finished. With the restart, F.A.S.T. will pick up with no issues. F.A.S.T. will pack up and save your files and settings for transfer to a new computer. The neat thing is that even when one is upgrading to XP (rather than doing a clean install), you can use this as a “safety net” in case the upgrade does not go well. Of course, an upgrade is not supposed to lose or change any of your files or settings, but one never knows what might happen — so you are doing the right thing by thinking ahead about backups. If you run F.A.S.T. and the upgrade installation fails for some reason, you can go back and clean install Windows XP, then import the saved files and settings. 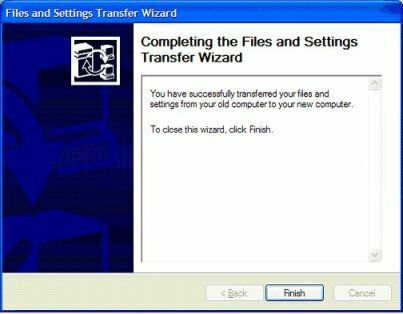 This wizard can be run on your old system from the Windows XP CD-ROM, and will pack up and save your files and settings for transfer to a new computer. The neat thing is even that when one is upgrading to XP (rather than doing a clean install), you can use this as a “safety net” in case the upgrade does not go well. Of course an upgrade is not supposed to lose or change any of your files or settings, but one never knows what might happen — so you are doing the right thing by thinking ahead about backups. If you run F.A.S.T. and the upgrade installation fails for some reason, you can go back and clean install Windows XP, then import the saved files and settings. Best of all, if you have a network set up with drive space available on another computer, use the “Other” option and save the F.A.S.T. data file across your network to a hard drive on another computer. NOTE: To extend this concept just a little, one also can use F.A.S.T. as a backup utility. It stores most everything that is unique or has been added to the initial install of Windows XP. If you have a recent F.A.S.T. export file on hand, you can do a clean install of Win XP on your system after a major crash, reinstall the major applications you use, then import all your settings, account information, and all files that you have added. This is possibly not as fancy as some backup utilities, and it does grab everything and that means a lot of potential fluff — so it will be a big file. But it does work, and it has twice in my experience been used to get people I work with back up and running with all their needed information intact. You can get more information about upgrade installations of Windows XP in my article Upgrading to Windows XP. CD-R/RW, providing it is supported by software to look like a “big floppy,” e.g., by Direct CD or InCD. One quick way to test if you can use CD-R/RW is to try to access the drive from a command prompt. If you can, it will work. Also, it normally will span more than one disk; but if you find that this doesn’t work, save the file on your hard drive and burn it to CD from there. F.A.S.T. detects Microsoft Office 97 and newer Office files along with 67 other applications. It does not yet pick up Netscape or AOL files, but that capability will come later. To be safe, manually add any folder that contains files you definitely want to make the trip. In brief, F.A.S.T. can be a lot more useful and powerful then many people know! Create a F.A.S.T. transfer file including all the files and settings you wish to transfer globally. For each of the other User Accounts, create a separate “Settings only” transfer file while in each User Account. Manually set up each User Account on the computer to which you are transferring. From within each individual User Account, import the transfer file containing the “Settings only” for that account. Over the river and through the wood — but all the settings can be transferred using this method! Some Weak Points, But First a Limit by Design Concerning F.A.S.T. Due to what I consider legitimate security concerns, passwords do not make the trip when you import files and settings from your old install. This is to keep someone from sitting at you computer, making a F.A.S.T. data file on your system for your Outlook Express or Outlook Settings, burning it to a CD, and then having access to all of your accounts at their leisure. See more about this in the Microsoft Knowledge Base article “Passwords Are Not Migrated by the Files & Settings Transfer Wizard or User State Migration Tool” (MSKB 283734). However, my fellow MVP Ron Martell has discovered a work-around to the passwords not being transferred with the F.A.S.T file. On the old computer, export an .IAF file for each email account to a floppy disk or USB memory stick, then import these into the new computer. In Outlook Express, just go to the Tools pull-down menu and select Accounts. Then, for each account, highlight the account, click on Export, and save the resultant .IAF file on the floppy or USB memory stick. Finally, go through the same process on the new computer but select Import to load these files. You cannot exclude a drive or drives from the selection process. F.A.S.T. will search all of your partitions for the type of information you have selected. Even hiding drives will not succeed in keeping these from F.A.S.T’s scrutiny. The only work around is to disconnect any drive you do not want to be scanned before starting F.A.S.T. Being able to exclude drives is a feature that I expect to be added to the next version of F.A.S.T. You should make sure that you have the very latest version of F.A.S.T. 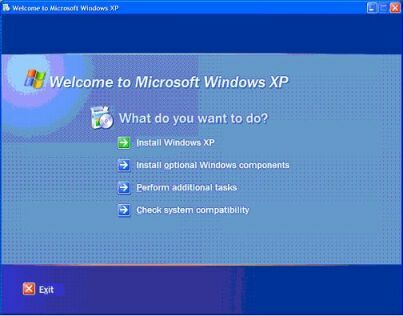 The best way to do that is to apply the Windows XP Service Pack 1 after installing XP from the original CD. At least make sure that you install all the Critical Updates from the Windows Update Page. You can then make a wizard floppy disk to use instead of the original version from the Windows XP CD. This will ensure that you are using the latest code. Interestingly, this option does not appear on the screen when the wizard is run from the Windows XP CD, so you have to know about this option to use it. All you have to do to make a wizard floppy is run F.A.S.T. from Start | Programs | Accessories | System Tools. You will find the option to create this floppy at the third screen, which is the screen shown here, right after the one where you select “New Computer.” SP1 fixes bugs and provides security fixes. The original copy of F.A.S.T. on the Windows XP CD works just fine most of the time. But, to be sure, you should apply SP1, and you are well advised to create the wizard floppy. You Can Even Use USB Devices to Make a Wizard Disk! There is a pull-down menu that defaults to the floppy drive. Any removable USB drive will show up in the pull-down menu — just select to make the wizard disk on that USB drive. You do have to have the USB Jump drive or memory card reader connected to your USB drive prior to starting the F.A.S.T. wizard. When you go to the old computer, just connect the removable USB drive and double-click on or open the WIZARD.EXE file and it will load and run the wizard on that computer to gather the information to transfer with the F.A.S.T. Wizard. Multimedia files (which are large and cannot be compressed) greatly increase the size of the exported F.A.S.T. data file. At times, particularly on large migrations, the Status Bar may appear to be frozen. As long as the hard drive light is flashing, all is probably well. F.A.S.T. will not support migrating more than 63,000 files. One should always check to make sure the newly saved F.A.S.T. file is not corrupted. The easiest way to do that is to act like you are going to import the new file to the system from which you saved it. Go to Start | All Programs | Accessories | System Tools | Files and Settings Transfer Wizard and start to import the file. You will get the following error if the file is corrupted in some way: “The location that you specified does not contain any stored information.” If you get this error message, delete the export file and do the F.A.S.T. collection again. Select “Perform additional tasks.” You will see this second screen. “Direct Cable” means via serial port, which will be very, very slow. Use this at the risk of many very frustrating hours of waiting, since F.A.S.T. data (.dat) files can be very large. 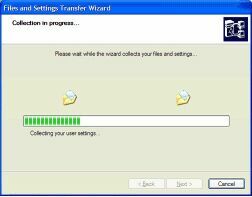 The day of using floppies for this kind of transfer is a thing of the past unless you are doing a Custom Transfer and have selected a very limited amount of data. CD-Rs or CD-RWs, even when spanning multiple CDs, may have space limitations that a F.A.S.T. data file’s size may make impractical, so I strongly suggest normally taking the third option, as shown below. A partition or drive on the computer on which you are running F.A.S.T., other then the C: drive, preferably on a different physical drive. If you have a network set up with drive space available on other computers, save to a drive on another computer across the network. This way, if you reformat the C: drive you can keep the F.A.S.T. .dat file safe from being blown away by the formatting. I have also been known, when moving files and setting to another computer, to save the F.A.S.T. .dat file on the hard drive of the old computer, then move the entire drive to the new computer, jumpering or placing it on the drive cable to be a slave and then importing the F.A.S.T. data file from there. When finished I just return the drive to the original computer. 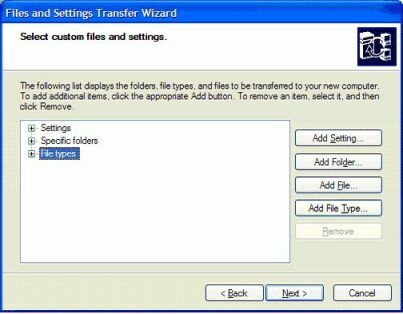 I will discuss the “Let me select a custom list of files and settings when I click Next” option below in the “Doing a Custom Transfer” section. Note that when you select “Files only,” HTML files registered to (that is, associated with) Internet Explorer will not be moved as they would move with IE. HTML files associated with another program, such as IrfanView, will be moved. Zip files will not be moved unless they are in a specific “Chosen” folder. Next, the collection process begins. Get a cup of coffee — well, maybe two cups of coffee and several crispy cremes — as this can take a long time, possibly as long as an hour or more depending on the speed of ones computer. F.A.S.T. automatically saves the collected data to a folder called USMT2.UNC (or similar name) as a file named IMG00001.DAT. If you have a previous file of this name, you will see the following warning screen. Only overwrite the existing file if you know for sure that you do not need the older saved file. Also understand that F.A.S.T. does not distinguish files by content, so one F.A.S.T. .dat file with just Outlook Express information will ask to overwrite a F.A.S.T. .dat file that has all your settings saved. A new folder for each saved file is the better procedure to follow. But you will more then likely be done at this point, so that seeing this screen means that you have been successful. Congratulations! You will get the following screen, though the collapsed selections shown will be expanded. This allows you to select specific settings, e.g., just those settings concerning a specific program, by removing all the listed programs for which you do not want to transfer the settings. Or, you can remove all the settings, then just select one folder such as My Documents. You can also select one or more specific file types, or any mix of the three that suits your fancy. Here is where you should add any folder that contains files that you definitely want to make the trip just in case they are not picked up automatically by F.A.S.T. When presented with the “Completing the Collection Phase” page, click Finish and you are done collecting. Click Next to start the process. This time you will select the new computer, where you want to transfer your information. 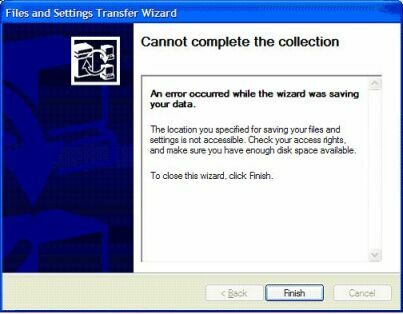 Since you have already collected your files and/or settings, you can just check the last selection on the next screen or, if you want to make sure you have the very latest version (particularly if you are using Windows XP SP1), you can use the first selection to make a wizard floppy disk. This will ensure that you are using the latest code. Interestingly, this screen does not come up when the wizard is run from the Windows XP CD so you have to know about this option to use it. You have now saved yourself a great deal of time getting all your files and settings transferred to your new computer. Very little seems to have changed in how F.A.S.T. works with Windows XP Service Pack 2 (SP2). There may have been lots of bug fixes, but very little change in function or the abilities that the wizard has at its disposal. Commonly Used KB Articles Concerning F.A.S.T.